Feeling frustrated with the world? You could deal with it the old-fashioned way and scream yourself. Or, you can use the Scream Electronic Scream-Maker! It's a modern marvel! 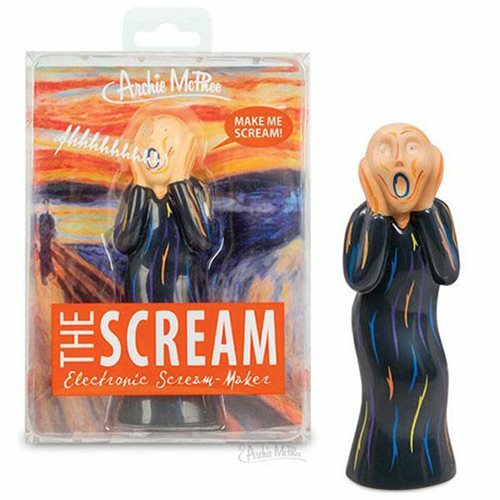 This 5 1/4-Inch tall plastic version of Edvard Munch's The Scream will release all your angst (reality-based or existential) with the touch of a button. Keep it next to you while you're watching the news, checking Twitter or just hanging out with your family. Requires 3x "LR44" batteries included. Acetate box with illustrated info card and hang tab.